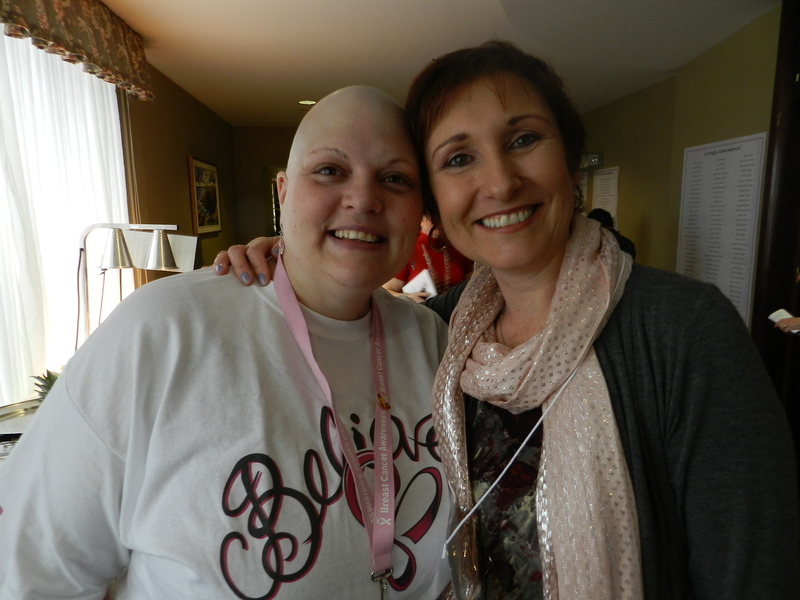 breast cancer retreat | The Perks of Having Cancer! As 2012 draws to a close, I would like to share with you some pictures, which show the highs and lows of the past year for me. 2012 got off to a great start with a FREE trip to Florida (compliments of my sister, Lynette and hubbie Jeff). Soaking up the sun for a couple of weeks, while recouping from my chemo, was definitely one of the perks of having cancer! 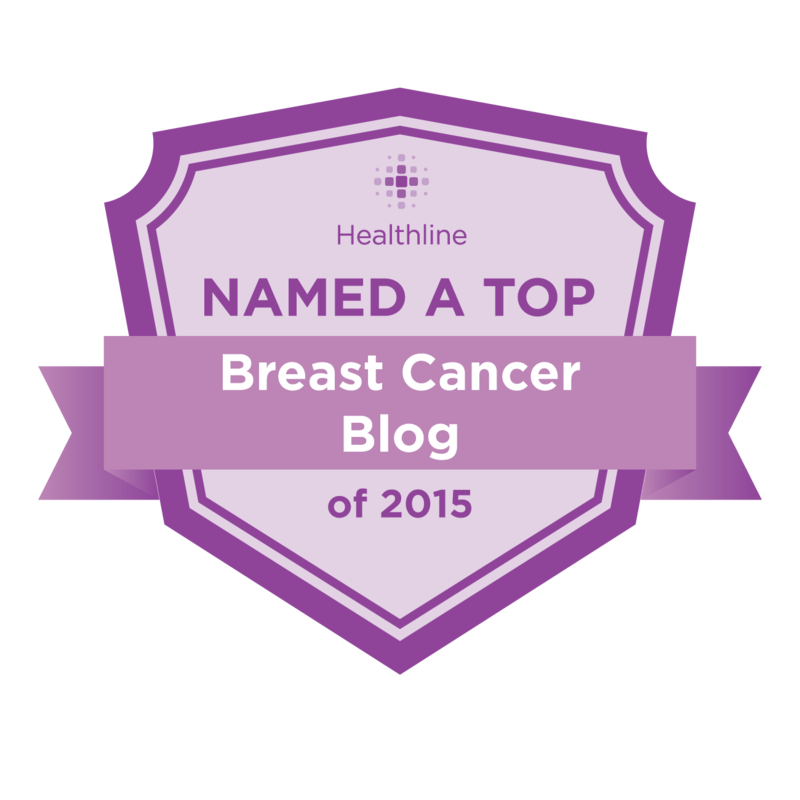 On January 28th, I celebrated my 45th birthday, just four day after undergoing a mastectomy. 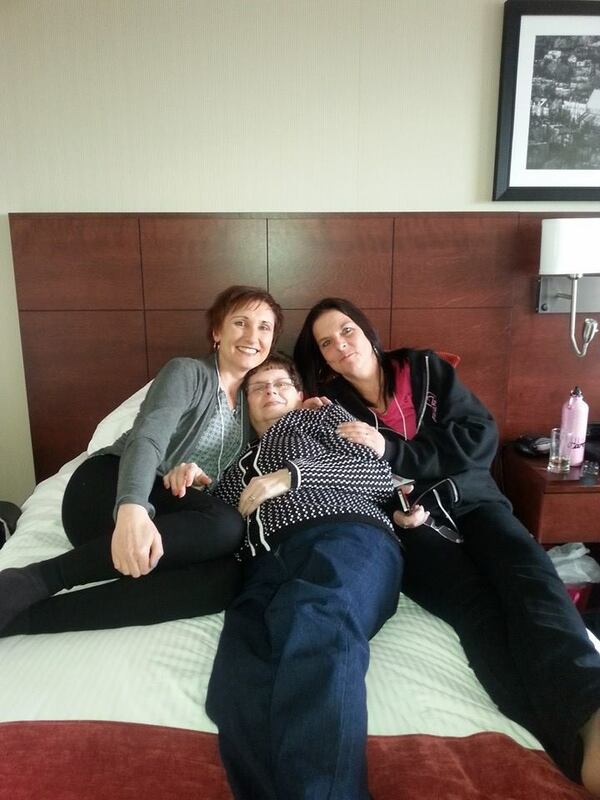 In February it was off to St. John’s for me for five weeks of Radiation Treatments. It was nice to spend time with Shawn, but I really missed my kiddies! I finished the last of my cancer treatments on March 30th, almost exactly one year from the time I was diagnosed. I was home just in time to start my seeds with Ben! 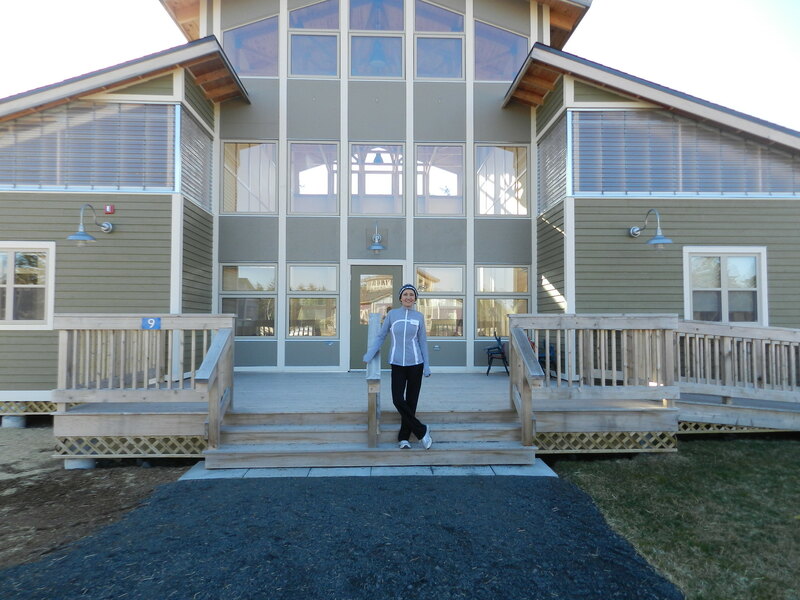 In April, Shawn and I traveled to Nova Scotia for my very first Breast Cancer Retreat. It was a very “healing experience” for me. In May, I went to my second retreat, but this time was a little different: I was guest speaker to an audience of more than 200 women! (Definitely a perk) I also met some great friends along the way. Shawn and I enjoyed lots of outdoor activities during the summer. This photo was taken in June in Shoal Harbor. In August it was off to PEI with Shawn and the Williams family for some much needed R and R.
In September I went back to work as a School Counselor, after a 17 month break away from my work. It was so great to connect with the kids again. For Halloween, 2012, I dressed as a Blue Butterfly; a symbol which held a lot of meaning for me during my cancer journey. November found me in New York. 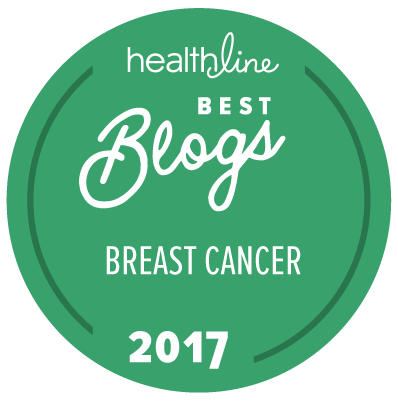 I had promised my kids when I was diagnosed that when I was well enough we would take a trip to the Big Apple….but if you were following my blog, you will know that it turned out to be the “Big Rotten Apple” for me. In early December, I said good-bye to my beloved Patches, my constant companion through cancer. But the year ended on a great note, surrounded by the ones I love. Florence asked me a LONG time ago to consider being one of her guest bloggers. Well I am FINALLY getting around to it…now that her 100th perk is just around the corner!! I had been corresponding with Florence long before we’d even met! 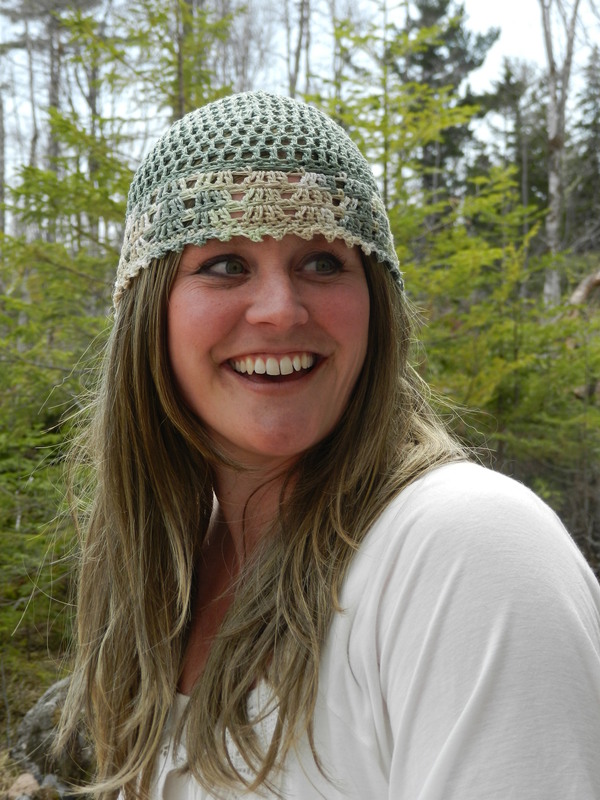 I came across her blog and felt the need to contact her, being a breast cancer survivor myself, and having spent a few years on the Burin Peninsula! I read a few of her posts and immediately fell in love with her sense of humor and how she approached this beast we call breast cancer. She reminded me so much of myself! So, I immediately called a close friend of mine, who just happens to be the organizer of the Annual Breast Cancer Retreat, and said, “If you don’t have a guest speaker for the retreat, then you have one now! 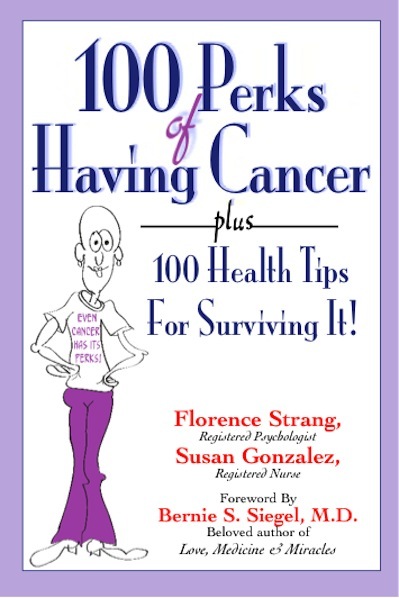 You HAVE to check out Florence Jarvis and her Perks of Cancer!” Well, I am happy to say that I had the pleasure of meeting Florence in March 2012, and then in May 2012 at the Breast Cancer Retreat! What a fabulous guest speaker she was!! 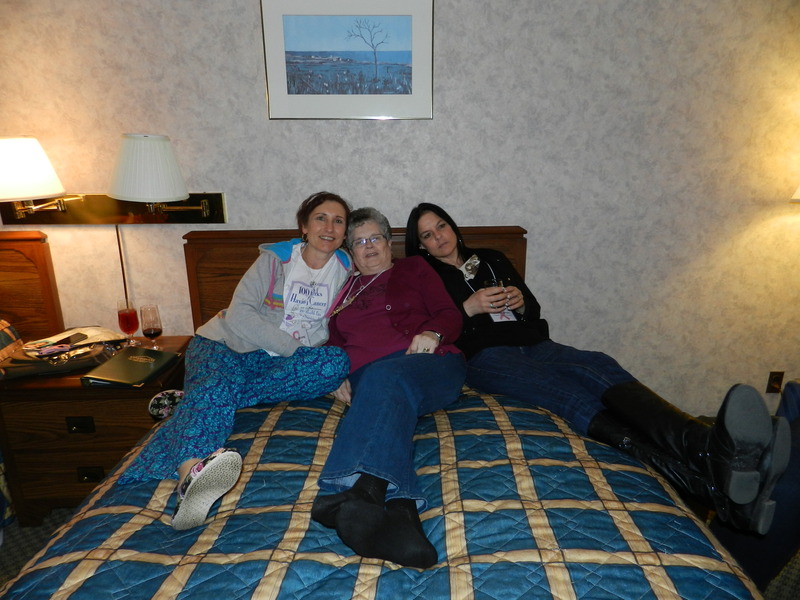 This was my second Breast Cancer Retreat! 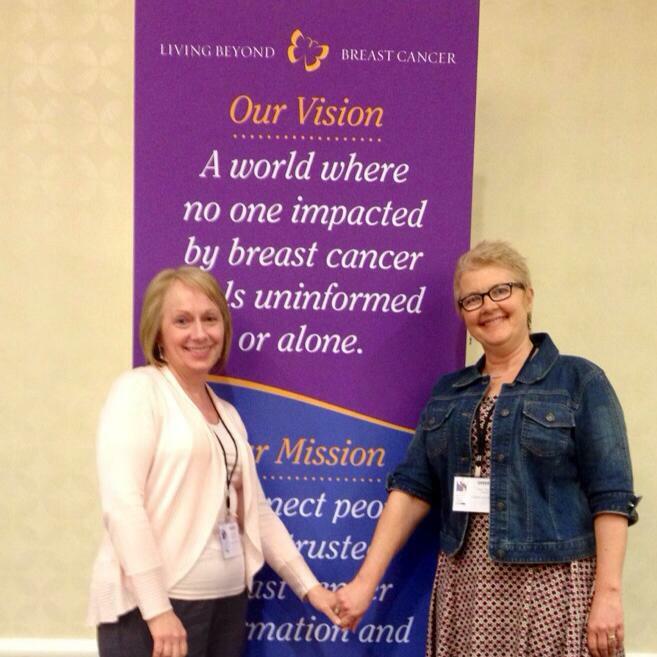 Sitting in a room filled with almost 200 breast cancer survivors is a feeling I will never truly be able to describe! It brings me back to last year’s retreat! I remember walking into last year’s retreat like a Warrior! Less than a month post-treatment, I was ready to kick up my feet and celebrate my accomplishment! I, Dana Cox, had taken down the beast! 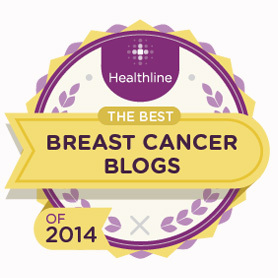 You see, I was diagnosed with Breast Cancer in June 2010 at the ripe old age of 31. My husband and I had been married for 9 years and were blessed with three beautiful children (Spencer-6, Bella-4, and Claire-2, at the time of my diagnosis). The last thing I had ever imagined would be a cancer diagnosis. And so the story goes….6 rounds of chemotherapy and 30 radiation treatments. If there was ever a “good” cancer story, I had it! Through all six chemo treatments, I was healthy as a horse! No sickness, no vomiting! Just the occasional “blah” day! But otherwise, perfectly healthy…well…you know…!! Then came the radiation treatments….all 30 of them! I chose to drive to St. John’s every day rather than stay in St.John’s for the 6 weeks of treatments. Remember, I had three small kiddies at home that needed their momma!! So, off I went! Sometimes I’d take the kids with me (and a babysitter to watch them while I was getting “zapped”). Sometimes I would go alone….just to get away from the little animals…..God love them! But when it was done, WOW! What a feeling!! 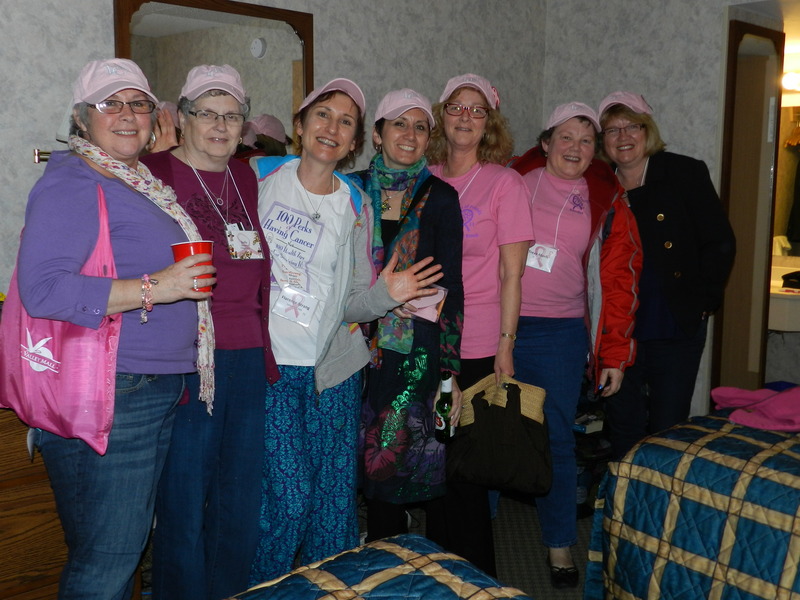 So, you can imagine my excitement as I walked into that breast cancer retreat a few weeks later, having beaten cancer! I was unstoppable! 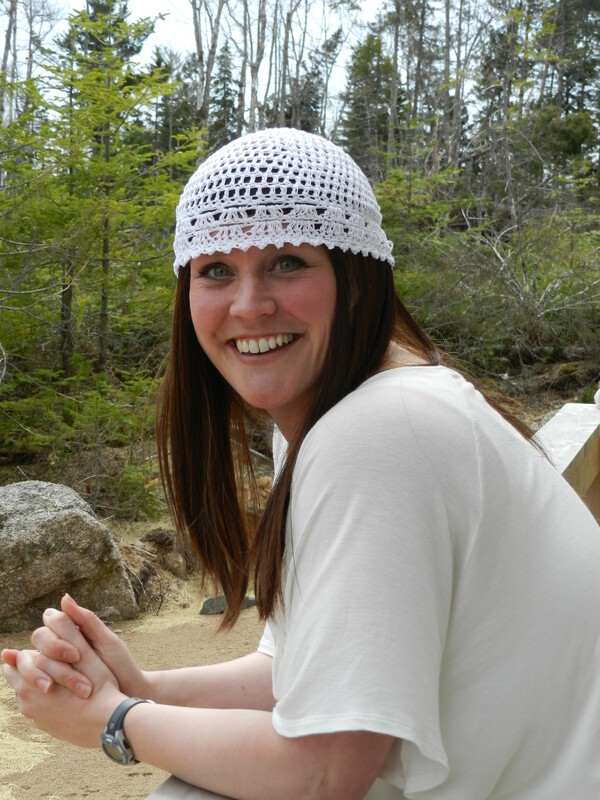 I was ready to get back to my life…back to being a normal mom, a wife, a teacher, a daughter! To stop being “that poor young woman with cancer,” “The reverend’s sick daughter,” “That sick one with three small kids…poor thing!” I am sure you get the point!! I still laugh at the “How are you doing? Well, you LOOK good!” comments. 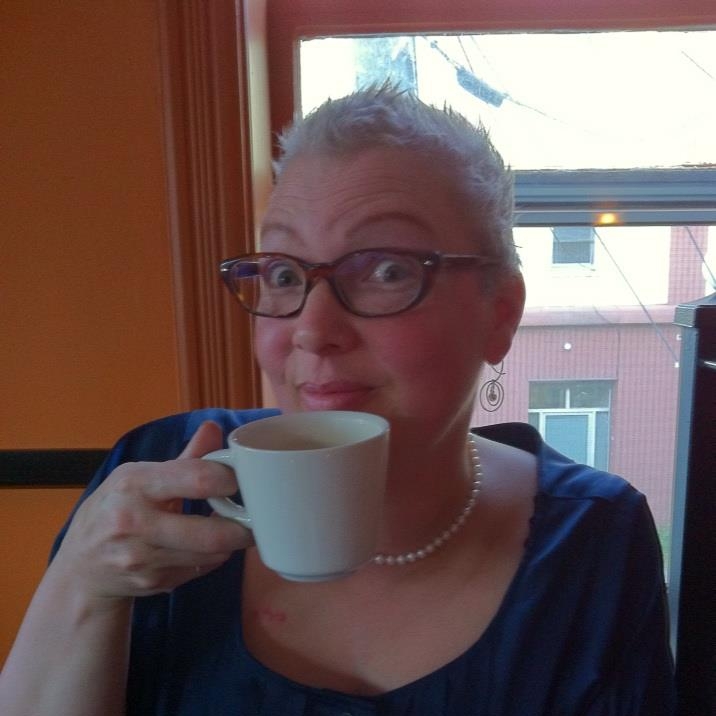 I mean, I had beaten cancer….shouldn’t I start going back to looking normal, or bad, or whatever they thought I looked like before I got the cancer in the first place? LOL! Well, unfortunately, I didn’t get many months to look normal, before I was “looking good” again. 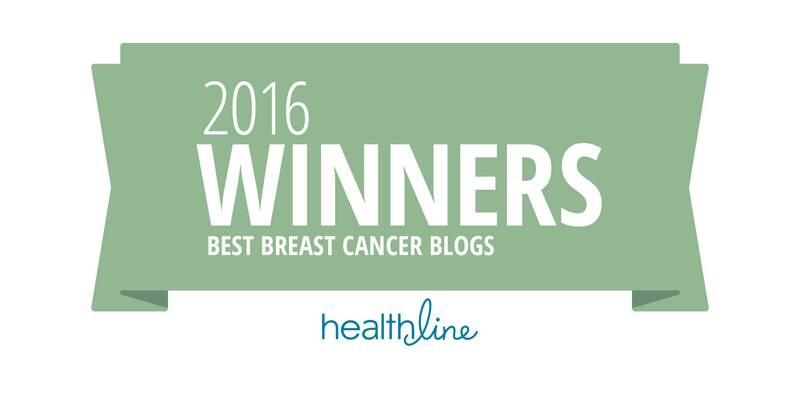 In January, 2012, just 9 months after my last treatment, I was diagnosed with Metastatic Breast Cancer. After a few months with a bad back and some x-rays, low and behold, the cancer had taken up residence in my lower posterior rib! The nerve of it!! 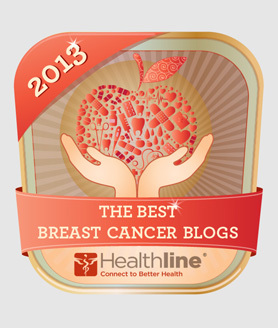 This new diagnosis made 2012’s Breast Cancer Retreat a little more difficult to swallow! I was really looking forward to the retreat, but in the back of my mind I was thinking, “When will be my last retreat? Will this be the last one I get to attend? I was lucky the first time….but…..” Sitting through the memorial service was a moment I will not soon forget! I would look at the names on that banner of those who had fought hard but lost the battle, and I could just picture my name there. It was brutal….but I made it through…..barely!! It was time to move on…..or in the words of my friend, to “Frig off!” I won’t let myself go there….often! I try not to let myself think about the long term! I mean, it’s in my bones now! It’s no longer curable! I remember what my doctor said to me after giving me the news. She said “Go home! Live your life!” It hit me like a ton of bricks….live my life? Was this the beginning of my death sentence? How much longer did I actually have? Were they not telling me something? But now I look at it differently! I look at it, not as a death sentence, but as a life sentence – a reason to get out there and LIVE! Would I love to be able to take my family and travel all over the world? To do everything that we ever dreamed? You’d better believe it!! But unfortunately when you are told to go home and live your life, they don’t send the Bank of Montreal home with you! But I AM living my life! I am enjoying my family, my husband, my three children, my friends! Taking in all I can! No one knows how long they have on this earth – not me, not you! So the only thing ANY of us can do is go and live our lives – making memories that will last an eternity! Since my diagnosis in June 2010, I’ve certainly been on a wild ride! I survived the first round of cancer! I wrote a song about my cancer journey! I have had my “Cancer Song,” as my kids have named it, professionally recorded. I am in the process of recording a full album. I’ve met and sang with Johnny Reid (I’m tellin’ ya….when I say I’ve lived……I’ve lived!!!) . I have met some fabulous people who have changed my life. How I ever managed to live without them, is beyond me! You know who you are!! Can I thank cancer for this?? Hmmm….well, yeah, I guess I can! In some sort of twisted way, cancer has had a positive affect on my life! Strange, I know! But true! So, yeah, my name is Dana Cox. 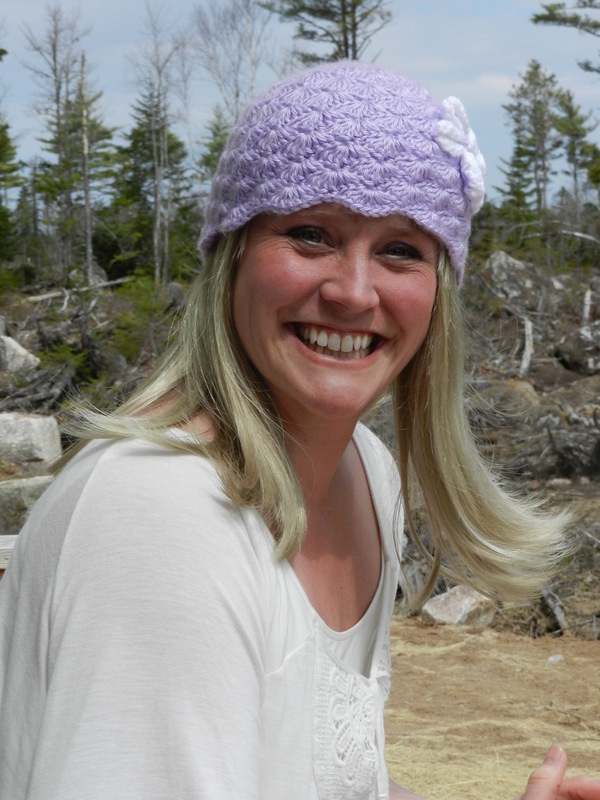 I am 33, and I have incurable cancer! But that’s okay! Please don’t pity me, don’t feel sorry for me!! Just support me! Support my many friends who are breast cancer survivors! Support those still battling the disease! Support organizations that strive to put an end to this disease! And cancer or no cancer, remember to LIVE – I know I certainly will! !